A 2-day trip to Reykjavik offers the chance to fully explore the cosmopolitan capital of Iceland and also get a taste of the wild landscapes that are just a short distance away. From historic landmarks to natural wonders, here’s how to spend two days in Reykjavik. 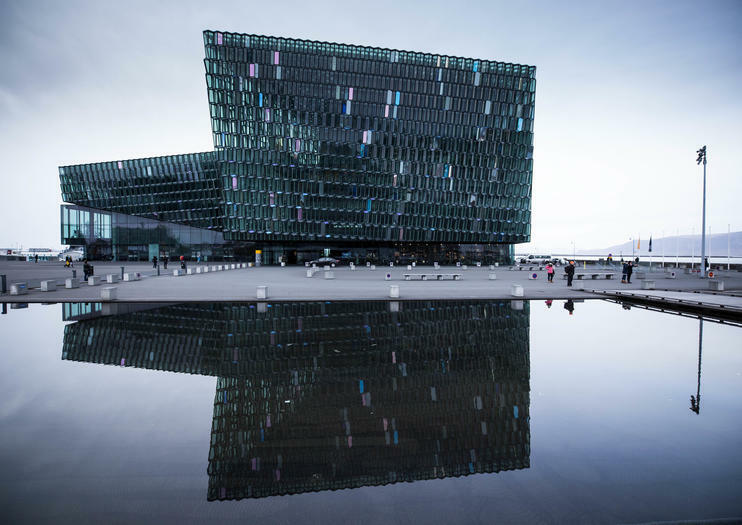 Morning: Spend your first hours in Reykjavik getting your bearings and doing some sightseeing. Walking and biking tours are greats way to familiarize yourself with the city and hit the highlights, while coach and hop-on hop-off bus tours cover more ground in less time with the chance to customize your stops. Afternoon: Get out on the water on a whale-watching cruise from Reykjavik’s Old Harbour. If visiting in summer, you can combine whale watching with a cruise to Akurey to see its puffin colony. If you’d rather stay on land, consider Blue Lagoon tickets or a horseback riding tour close to Reykjavik—hotel transfers are generally included. Night: Summer offers extended daylight hours so you can take an evening tour of the Golden Circle, which brings the benefit of smaller crowds at the attractions. In winter, you can choose from a coach, boat, or Super Jeep tour for a northern lights hunt. Morning: You can spend the whole day exploring the Golden Circle on a private or group tour that includes an activity such as snowmobiling on a glacier or a visit to the Secret Lagoon. Some longer full-day options also take in Iceland’s south coast or Jokulsarlon glacier lagoon. Alternatively, take a shorter morning or afternoon tour that focuses on Thingvellir National Park, Geysir geothermal area, and Gullfoss waterfall. Afternoon: A helicopter tour is a great way to get a sense of Iceland’s otherworldly landscapes. Tours typically depart from Reykjavik’s downtown airport and offer sightseeing over Thingvellir National Park and Eyjafjallajokull glacier. Night: Reykjavik is famed for its lively nightlife. Beer- and food-themed tours offer a taste of local drink and food culture as well as insight into the best spots to spend the rest of your evening after you leave your tour guide. Do more than just admire Iceland's beloved horses during your stay in the country—take one for a spin on this horseback riding tour with transportation from Reykjavik. Atop a sturdy, sure-footed Icelandic horse, you’ll take a beautiful ride in the countryside just outside the city. This tour is suitable for beginners and experts alike. Visit all the landmarks and highlights of southwest Iceland during this private day tour. With your dedicated guide and private transportation, this tour ensures a flexible itinerary and personalized attention. Stop in the Thingvellir National Park, see the Geyser and Stokkur geysers, the stunning Gullfoss waterfall and garden village of Hveragerði, among other sites. Want to see the Icelandic scenery in a short space of time? This express afternoon tour visits waterfalls, geysers and must-see Icelandic sights in just six hours. Walk with a guide around UNESCO-listed Thingvellir, pose for photos by Gullfoss waterfall, visit the Geysir hot spring area. Reykjavik hotel pickup and drop-off is also included.